The track came under the regulation of the Ohio Racing Commission in 1931 when it was formed. 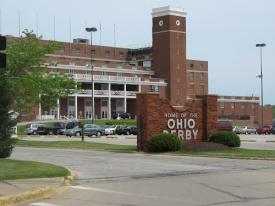 The track's premier race is the Grade III Ohio Derby. The track also hosts numerous overnight handicaps and minor stakes during its April to September racing season. ThistleDown Racino is expanding to bring you over 1,000 all new exciting Video Lottery Terminals conveniently located off of Interstate 480. In addition to our new games enjoy year-round simulcast racing, seasonal live racing, free parking, and several new dining and nightlife options.